These sores often develop inside the mouth as small white or gray sores that have a red border. These are not contagious and they may occur as one sore or several ones at the same time. The cause is unknown in some cases, but trauma to oral soft tissues is a common cause. They usually heal on their own within one to two weeks. Spicy, salty or acidic foods such as citrus juices and fruits can irritate this type of sore and prolong healing. These are also known as ‘fever blisters’ and they appear in clusters of red, raised blisters outside the mouth – typically around the lips, though they can also develop under the nose or around the chin. 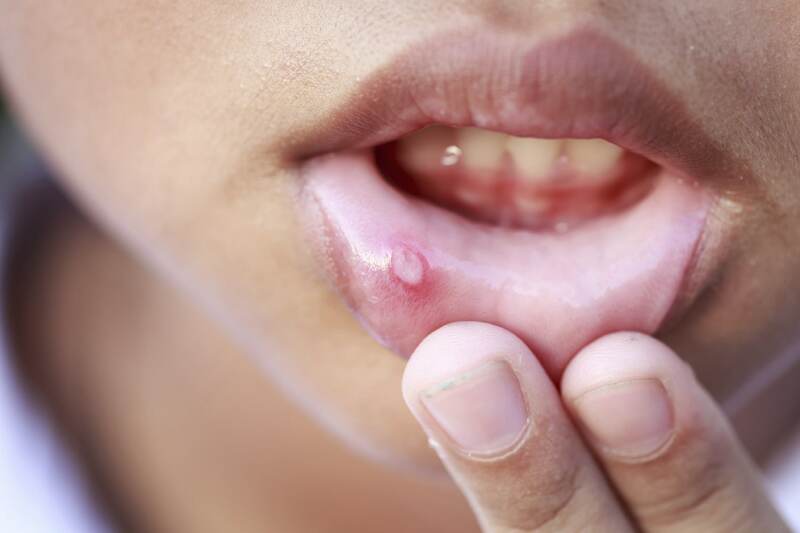 Cold sore blisters are filled with fluid and they can break open, allowing the fluid to leak out. Afterwards, they scab over until they heal. Cold sores are caused by the herpes simplex virus and these sores are highly contagious. These sores usually heal by themselves in about one week. This sore is also called “oral thrush” – it is a yeast infection that occurs on the soft, moist tissues inside your mouth. It appears as a smooth, white patch with a red base – this can be sore or it can also bleed. This is caused by a fungus and typically develops when the immune systems is weakened. People with poor health (very young or very old), and people with systemic diseases such as diabetes are at risk of developing this sore. Treating this sore consists of controlling the conditions that cause the outbreak. Dr. Marvin Lean can help you out if you develop this condition. This sore is an overgrowth of cells resulting in a rough patch of whitish tissue which develops anywhere in your mouth. The patches are typically not painful and not contagious. They can be a result of irritations such as the habit of chewing on the inside of the cheek or ill-fitting dentures. Sometimes, leukoplakia is associated with more serious health concerns, so it’s important that you have Dr. Marvin Lean examine your mouth if you notice any of these patches developing. « Senior’s Teeth – As We Gracefully Age!